How things have changed since! After our recent trip in Latin America, we have found we are more than ever dependent on our smartphones. The downside is of course that technology is always going to be an inevitable part of our travels. But the upside, this allows us to travel smarter, seek out unique experiences better then we did before, and document things more effectively. What is it: TraveLibro is an app which allows you to create a Journey for your trip, into which you post all your photos, videos, reviews, thoughts, memories, and more, in chronological order. The end result is your own timeline of your trip, which you can re-live at any time and show off to friends + family. Why we love it: it's fun, very easy to use and a great way to encourage you to really get into your trip. It's kind of like you're blogging about your trip, but without all the IT effort involved working around WordPress/Plugins etc. We spent some time with our families in London/Lyon and used this as an opportunity to see more of each city, documenting everything in TraveLibro. It forced us to organise our time better and to double check facts, as well as striving to take the best possible photos. TraveLibro is also one of our favourite apps for gay travellers because it has a section for “LGBT Stories” featuring journeys from other gay travellers. You can read more about why we love using the TraveLibro app by clicking on the image below. How to download: you can download on iOS and on Android. 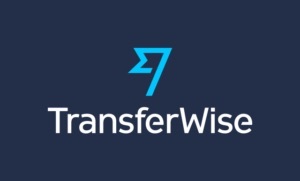 What is it: TransferWise is a way to set up borderless accounts to enable you to send and receive money in the US, UK, Europe, Australia, with more countries constantly being added. Unlike Paypal and other online payment systems, the fee and exchange rate on TransferWise are much cheaper. Why we love it: if like us you send and receive money a lot abroad, you'll no doubt have shared our frustration with Paypal's whopping fees and unfair exchange rates. TransferWise instead offers the exchange rate on the day and charges a much lower fee. The app is also very easy to use. What is it: allows you to send postcards online from the comfort of your phone. Why we love it: we love sending postcards when travelling, especially to the senior members of our families who don't use internet. Traditionally this involves finding a postcard, going to the post office during operation hours, queuing up to buy the stamps before posting it. Thereafter, you're relying on the postal service of that country for successful deliver of your postcard. Sadly in most Latin American countries, a lot of our post was never delivered, which meant a lot of time and expense was completely wasted! More and more, sending postcards online has become very popular because guarantees it will arrive and saves you a lot of time. It also lets you personalise the postcards so you can use one of your images instead of a generic one. You can read more about why we love sending postcards online. What is it: allows you to take a photo of a wine bottle label and it will tell you the rating out of 5 based on other users' reviews, as well as detailed description about the flavour and an estimated retail price. Why we love it: we spent a lot of time in South America discovering Malbec wine in Mendoza in Argentina and doing wine tours around Santiago in Chile. As a result we've really developed our appreciation for wine and love to analyse them in supermarkets in order to pick the best one. 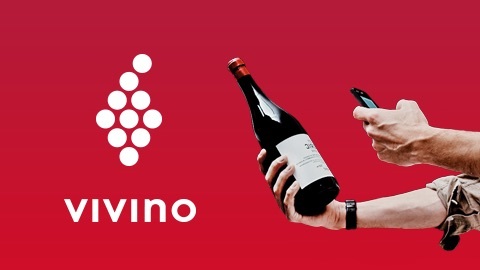 Vivino is so handy because it helps us decide what each bottle is likely to taste like and whether it is good value for money. However, it is completely dependent on having good internet access to do so. What is it: Cocoon is a VPN service, virus scanner and privacy protector all in one. It lets you browse online safely and securely. Why we love it: at the very basic level, it's a free VPN service, which is handy in countries like China where the government heavily censors access to websites like Google, Dropbox, Facebook etc. In addition, it's very secure because your internet access is anonymous, so none of your personal information is stored anywhere and everything is deleted when you close your session. It therefore allows safe internet access when using public WiFi in hotels, cafes and airports. If you enjoyed reading, Pin me for later!